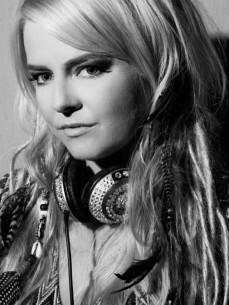 Claudia Conrado aka Lady Lago is a multitalented dj/producer with both Portuguese and Dutch roots.She got infected by to decks and a mixer back in 2001 playing as Lady Lago and after only a few years of producing has already racked up several chart toppers in the House en Tech House genres. Influenced by other dj’s/ producers/ musical styles and techniques she developed her own sounds. So making it a bit difficult to pinpoint her musical style (from Disco till Techno). She plays in club’s all over the world like Ministry of Sound and Little Buddha Egypt, Pacha Tunisia, Kadoc, No Solo Aqua, Aquamoments, Portugal and festivals like Dance Valley, Defcon etc.In 2013 she started her own record label Lago Beats. Techno/techhouse her Alter Ego is Claudia Conrado.